Professor Vasarhelyi has published thirteen books and over 80 articles on a variety of topics, including expert systems, the Internet, e-commerce, intelligent agents and accounting systems. Dr. Michael Alles is a tenured associate professor at the Department of Accounting, Business Ethics & Information Systems at Rutgers Business School at Rutgers University. Prior to Rutgers, he taught at the University of Texas at Austin, New York University and Southern Methodist University. His specialties are the design of strategic control systems, continuous auditing and management accounting. He is widely published in all these areas. Currently he serves on the Executive Committee of the Management Accounting Section of the American Accounting Association. Dr. Alles holds a Phd from Stanford Business School and a First Class Honors in Economics from the Australian National University. Professor Kogan received his BS/MS in Operations Research from Phystech - Moscow Institute of Physics and Technology, and his Ph.D. in Computer Science from the USSR Academy of Sciences. Prof. Kogan has published over eighty papers covering a wide range of topics from the development of fundamental aspects of established technologies such as knowledge-based systems to the prospects, problems and applications of emerging technologies such as continuous auditing and electronic commerce. 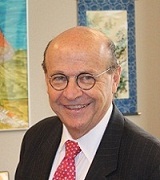 Prof. Kogan is a past President of the Strategic and Emerging Technologies (SET) section of the American Accounting Association and a member of RUTCOR - Rutgers University's Center for Operations Research. He is the Incoming Editor of Journal of Emerging Technologies in Accounting, and a member of the Editorial Boards of the Annals of Mathematics and Artificial Intelligence and International Journal of Digital Accounting Research. Prof. Kogan was a Guest Editor of the Special Issues of Discrete Applied Mathematics on Discrete Mathematics and Data Mining (DM & DM). Dr. Brown-Liburd received her doctorate from the University of Wisconsin-Madison in 2003 and a B.B.A in Accounting from Bernard M. Baruch College-City University of New York in 1981. Her research focuses on issues and factors that influence auditors’ judgment and decision making related to financial reporting. Her dissertation, entitled “Auditor-Client Negotiation: An Examination of the Influence of Psychological and Environmental Factors” examines how audit partners and managers interact with clients to resolve complex financial reporting issues not clearly defined by Generally Accepted Accounting Standards. She has published in “Auditing: A Journal of Practice and Theory” and “Accounting Horizons”. Her teaching experience includes Auditing, Accounting Information Systems and Financial Accounting.Dr.Brown-Liburd is a CPA with over sixteen years of experience in such diverse areas as auditing, financial and operating reporting, and analysis and project management. Immediately prior to entering her doctoral program she worked for Bristol-Myers Squibb (BMS) as a Manager on several company-wide teams established to evaluate and redesign major company-wide processes to achieve a measurable reduction in the cost structures. At BMS she also served as an Internal Audit Manager where her duties included supervising and monitoring the performance of worldwide audits. Prior to BMS Helen worked for Pepsi Cola Company as Manager of Special Projects where she researched, developed and implemented accounting policies and procedures to provide uniformity and consistency among the reporting groups and performed financial reporting for the acquisitions of third party-owned Pepsi Cola bottling companies. She began her career in public accounting as a staff auditor for Main Hurdman (now KPMG) and later moved to Arthur Young (now Ernst and Young) where she was promoted to Audit Manager. Professor Moffitt received his Ph. D. from the University of Arizona. His research interests include automated assessment, fraudulent financial reporting, knowledge discovery through text mining, and motivation in online communities. Hussein Issa's research areas include the identification and prioritization of exceptions (which was the topic of his dissertation "Exceptional Exceptions"), expert systems, XBRL, governmental accounting, continuous auditing and continuous control monitoring, and data analysis. Won Gyun No is an assistant professor of Accounting Information Systems at Rutgers, The State University of New Jersey. His research interest includes investigating areas of XBRL, data quality, green IT, the effect of privacy in e-commerce, and cybersecurity. He is a member of the American Accounting Association (AAA), the Canadian Academic Accounting Association (CAAA), and XBRL.US. Dr. Soohyun Cho is currently an assistant professor in Accounting at Rutgers Business School. She graduated from the University of Florida where she earned her Ph.D. degree in Business Administration.. Professor Lee joined Rutgers Business School in the Fall of 2015, after having received her Ph.D. in Accounting Information and Management from Northwestern University. 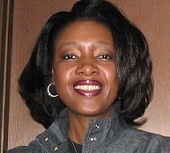 She teaches Intermediate Accounting I at the undergraduate level in the Newark campus. Her research interests include disclosure and the role of information intermediaries with a focus on auditors and credit rating agencies. Dr. Chanta Thomas is a professor at the Department of Accounting and Information Systems at Rutgers Business School. Her research focuses on issues and factors that influence auditors’ judgment and decision making. Her specialties are internal controls, risk assessments and the impact of technology and data analytics on auditor judgment. Her background includes working both as an external auditor for a Big 4 firm and as an internal auditor both domestically and internationally.